His mother, Nicole Smith-Holt, worried too. He called her when he decided to go to a health clinic near Minneapolis. He said, "Seriously, Mom, I think something is really wrong with me." The diagnosis was surprising: Type 1 diabetes. Alec's blood sugar levels were nearly twice the healthy limit. His family didn't have a history of diabetes, and lanky, 6-foot-3 Alec looked like the picture of health. At 23, he seemed too old for Type 1 diabetes, once known as juvenile diabetes because it often strikes children. But as Alec discovered, Type 1 diabetes is an autoimmune response that can appear at any age. It is not preventable, and there is no known cure. At the clinic, a nurse practitioner discussed the potential complications of the chronic disease, including blindness, nerve damage, and kidney and heart problems, according to medical records. Alec came home with prescriptions for two kinds of insulin: One was long-acting; the other gave him short bursts before meals. He wrote on Facebook: "Today a lot has changed. . . . I would never wish this upon anybody. So whoever reads this take care of yourself." Even for his older sister, Brittany Smith, who is a nurse, the learning curve about Type 1 diabetes was steep. "I didn't really have a handle on it," she says. Most of her diabetic patients had the far more common Type 2. Both types involve an imbalance of insulin, a hormone that helps regulate blood glucose levels. For Type 1 diabetics, the body produces little to no insulin. In Type 2, generally, the body has become resistant to insulin's effects. Not all Type 2 diabetics take insulin, but all Type 1 diabetics do. Alec would need a steady supply for the rest of his life. What had been a carefree 20-something existence was now dominated by insulin injections, timing of doses and taking a blood sample four times a day to measure glucose levels. "I know he'd get frustrated," Nicole says. Within three months, though, Alec had gotten his blood sugar under control. He maintained healthy levels as that first year wore on. He began dating Laine and worked as a manager at the restaurant where they'd met. Eventually, he moved out of his parents' home and into his own apartment on a tree-lined street near downtown Minneapolis. In 2017, as his 26th birthday neared, his mother had a new worry: He would no longer be covered by her health insurance through her job in the financial aid department of a community college. Nicole paid about $100 per biweekly paycheck for a family plan, and it had not cost extra to include Alec. With it, she says, he initially had been paying about $200 to $300 a month out-of-pocket for his diabetic supplies and prescriptions, an amount he could just afford. The restaurant did not offer insurance, and his $35,000 salary put him above the income limit for Medicaid in Minnesota. His mother helped him look for a health plan on the marketplace set up by the Affordable Care Act, but his options were expensive. To keep going to the same doctors, she says, he was looking at paying about $450 monthly, in addition to a high deductible of more than $7,000, which would mean months of paying out-of-pocket for most of his medical care. He opted to go without insurance, forgoing that expense to focus on paying for his insulin and supplies until he could find a better option. What Alec soon learned was just how much his insulin would end up costing: more than $1,000 a month. The price of insulin - once modest - has skyrocketed in recent years, making the lifesaving medication a significant, even burdensome, expense, especially for the uninsured and underinsured. 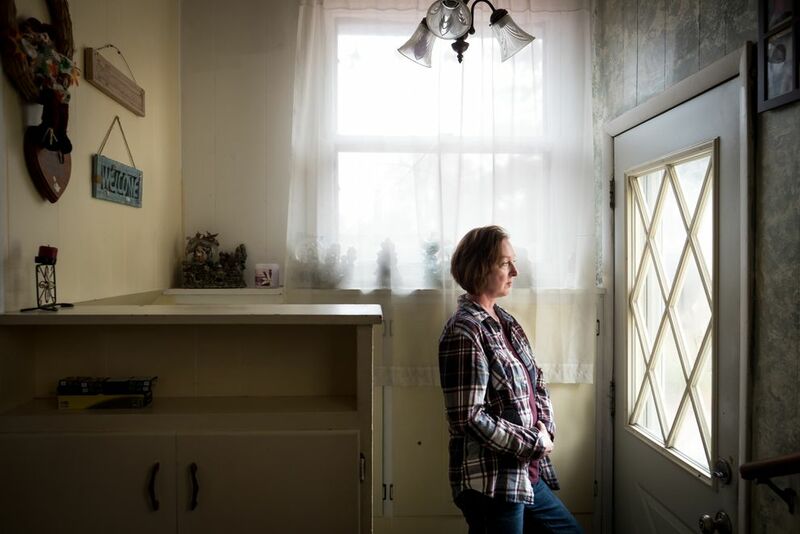 The costs are so heavy that they have driven some patients to ration their supplies of the drug in a dangerous gamble with life-threatening consequences. At the time Alec discussed skipping insurance coverage, he told his mother, "It can't be that bad." Within a month of going off her policy, he would be dead. Insulin, in its various manufactured forms, has been used to treat diabetes for almost a century, since Canadian researchers isolated the hormone in a lab in 1921. Before their discovery, what we now know as Type 1 diabetes was fatal. Even after being put on starvation diets, patients often lived no more than a few years. The researchers who transformed diabetes treatment won the Nobel Prize, and they sold their patent to the University of Toronto for a total of $3. “Above all, these were discoverers who were trying to do a great humanitarian thing, and they hoped their discovery was a kind of gift to humanity,” historian Michael Bliss told The Washington Post in 2016. Soon, though, insulin became a commercial enterprise. By 1923, the American pharmaceutical company Eli Lilly was manufacturing enough insulin for diabetics across North America. For decades, manufacturers improved formulas, first using animal parts, then producing human insulin using bacteria and recombinant DNA. The 1990s saw the advent of insulin analogs, synthetic drugs made to better mimic the body's own insulin production. Today, critics argue that the price of insulin has far outpaced any innovations. In the past decade alone, U.S. insulin list prices have tripled, according to an analysis of data from IBM Watson Health. In 1996, when Eli Lilly debuted its Humalog brand of insulin, the list price of a 10-milliliter vial was $21. The price of the same vial is now $275. Those costs can be compounded by the multiple vials that diabetics may require to survive each month. "It's a very big problem," says Robert Gabbay, chief medical officer at the Joslin Diabetes Center in Boston. "It's a tragic barrier to care." The global insulin market is dominated by three companies: Eli Lilly, the French company Sanofi and the Danish firm Novo Nordisk. All three have raised list prices to similar levels. According to IBM Watson Health data, Sanofi's popular insulin brand Lantus was $35 a vial when it was introduced in 2001; it's now $270. Novo Nordisk's Novolog was priced at $40 in 2001, and as of July 2018, it's $289. In Washington, the soaring price of insulin has provoked bipartisan concern. Members of Congress are trying to parse the factors that have caused the spike. In November, a congressional caucus released a report on insulin, urging legislation aimed at lowering prices through increased competition and pricing transparency, among other recommendations. In June, the American Medical Association called on the government "to monitor insulin pricing and market competition and take enforcement actions as appropriate." Insulin, in some ways, serves as a proxy for the rising prices across the U.S. prescription drug market. On the campaign trail in 2016, Donald Trump railed against high drug prices, and his administration has vowed to lower them, releasing a flurry of proposals in the past year. In the meantime, a portion of the more than 7 million diabetic Americans who take insulin are stuck with debilitating costs. Though most don't pay the full list price for insulin because of insurance coverage and other rebates, some do, especially those who are uninsured, underinsured or facing a coverage gap through Medicare. "The most vulnerable patients are subsidizing the system," William Cefalu, the chief scientific, medical and mission officer of the American Diabetes Association, told a Senate committee in May. At the same hearing, a father from Maine told senators that a 90-day prescription for just one of his son's insulins would cost him $1,489.46. That's with his high-deductible insurance. He testified that he has taken to buying the same three-month supply from a Canadian pharmacy for about $300 plus $50 in shipping. (It's technically illegal to import medication from other countries, but the Food and Drug Administration generally doesn't prosecute individuals if it's a short-term supply for personal use.) He is not alone in his dilemma: The website GoFundMe has thousands of posts with people pleading for help to pay for insulin. Patients who struggle to afford insulin sometimes ration their supply to make it last longer - a dangerous practice that can create disabling or deadly complications. "It's very shortsighted to skimp on insulin," says Kasia Lipska, an endocrinologist and diabetes researcher at Yale School of Medicine. "In the long term, it's going to cost us much more." Poor glycemic control can lead to blindness, kidney failure, amputation, heart disease and stroke. In the short term, patients who stop taking enough insulin can lapse into diabetic ketoacidosis, a condition where blood sugars get too high and the body's blood becomes acidic. It can become fatal in just hours or a few days. At the Yale Diabetes Center, Lipska and her colleagues recently found that one in four diabetic patients reported rationing insulin because of the cost. Very few of those patients were uninsured, but their out-of-pocket expenses still created a financial burden. These patients were also, not surprisingly, almost three times as likely to have poor blood sugar control as patients who didn’t underuse insulin. Did Alec die because he was rationing? The answer may never be absolutely clear, but his family is convinced that he was skimping on his doses. He never told his loved ones that he was rationing because of the expense, but they knew that the disease and its cost wore on him. He had talked to his parents about searching for jobs that offered health insurance. Laine had scouted the Internet for prescription discounts. Alec vented to his best friend, Erick Borrome, whose wife, Arizbeth, offered to get him cheap insulin from a pharmacy in Mexico, where she had family and a vial cost roughly $50. She says: “We had many conversations about the insulin and the cost. He was pretty worried about it.” But, she adds, “he was too shy to accept help.” He never took her up on the offer. Nicole got the call that Alec had died on a Tuesday. It was Laine who found him. She hadn't heard from him since Sunday night, so she went to his apartment to check on him. He was on the floor beside his bed. "I grabbed his shoulder, and it was ice cold," Laine says. "I just knew he was gone." Alec's funeral was held the day after the Fourth of July, his favorite holiday. 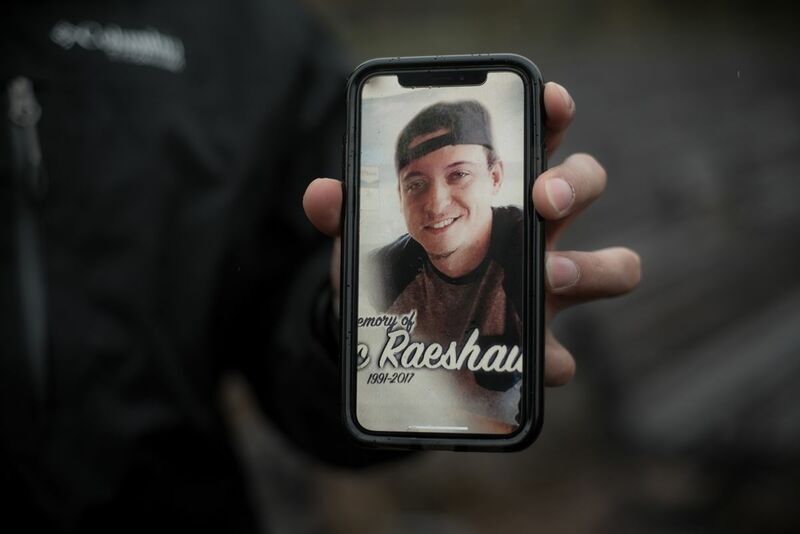 Family and friends gathered at his parents' house in Richfield, a Minneapolis suburb, to shoot off fireworks in his memory. Those first few weeks were a blur, as Nicole tried in her grief to piece together the last days of Alec's life. The medical examiner had listed diabetic ketoacidosis (DKA) as the cause of death. By definition, he had died of a lack of insulin, but why and how did that happen? In speaking with Laine, Nicole learned that Alec had indicated he was running low on insulin before he died. That Sunday, Laine had suggested they go to a food truck festival, but she remembered Alec saying, “No, I don’t think I have enough insulin for that.” That night, he was tired and complaining about abdominal pains. Hearing this, Nicole deduced that those symptoms may have been warning signs of DKA. There were more clues: There was some healthy food in his fridge, but no stockpile of insulin. As Nicole cleaned out his cluttered blue car, littered with old prescription receipts, she started to cobble together just how much his insulin and blood sugar testing supplies cost without insurance or discounts. The total, by her count, was nearly $1,300 per month. That was roughly the same amount that Alec's local pharmacy tallied for me nearly a year later, using a list of his medications and medical supplies. "It's very expensive to be diabetic without insurance," the pharmacist said. That $1,300 was almost $200 more than Alec's biweekly paycheck. Nicole now believes that Alec was rationing his insulin because of the cost. "Based upon what he had left when he was found, we came to the conclusion that he had not filled his prescription, so he had to have been rationing for a short period of time," Nicole told me. "We realized that he had been taking less insulin and less often than he should, trying to make it stretch until he got his next paycheck." He was found dead three days before payday. No one can truly know what happened in those final days. Alec may not have realized that his condition was so serious, or perhaps he thought he would be fine, just as he had been when he was diagnosed. DKA creates confusion as it progresses, and it can progress quickly, shutting down vital organs. "If I could go back in time," Nicole says, "I would have found a way for him to not move out . . . so I could monitor this or see that he was struggling in some kind of way, and force him to take our help." One afternoon, sitting at their dining room table, her husband, James Holt, recalled encouraging Alec to get his own place. "I think back and regret that," he said, wiping away tears. In their search for answers,there was enough blame to go around. His family blamed the broken health-care system. They blamed unaffordable insurance and high out-of-pocket costs. They blamed a lot of things, including, in darker moments, themselves. But they kept coming back to the price of insulin. Why was a treatment that had been around for nearly 100 years so expensive? And what could be done about it? Nicole hadn’t known much about the world of diabetes advocacy before Alec died. But now she felt a budding activism as she encountered a flood of information and stories like her own online. Advocates were rallying around the hashtag #insulin4all, which the nonprofit organization T1International helped create in 2014 to raise awareness about the inaccessibility of insulin, particularly in developing countries. T1International’s founder, Elizabeth Pfiester, an American Type 1 diabetic who now lives in the United Kingdom, still marvels at how much more affordable diabetes care is in her adopted country. “It’s really a shame that #insulin4all is needed as a rallying cry in the U.S.,” she says. There are T1International activists like Hattie Saltzman, a college student in Missouri who went a year without buying insulin because she couldn't afford her monthly $550 insulin bill. 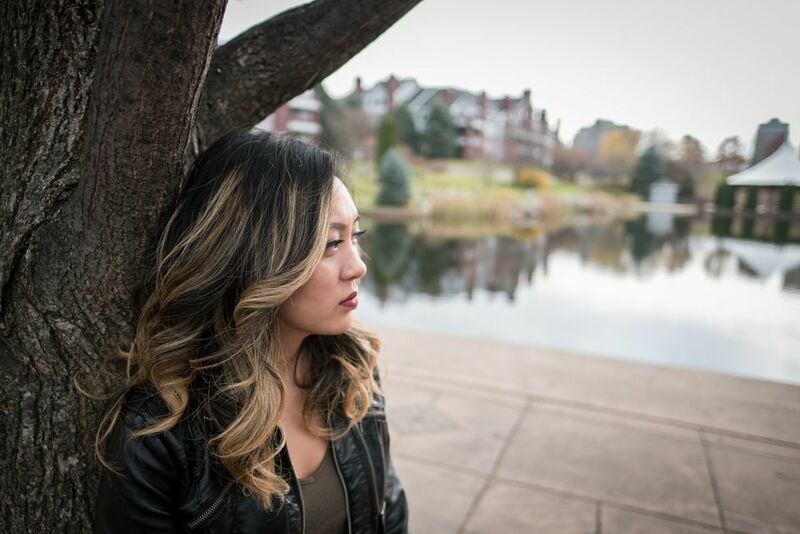 Her father shared some of his insulin, and she got free samples from her doctor. At one point, she told me, "I had rationed insulin so extensively that it expired. I didn't catch that until I went to the ER because my blood sugars were through the roof." When the diabetic daughter of family friends died of cystic fibrosis, the family donated her leftover insulin to Saltzman. That got her through the year until she qualified for better insurance coverage. There are new cases all the time. In July, Long Island resident Doreen Rudolph tweeted about her young adult daughter's struggle to afford insulin: "I just bought 2 vials of insulin for my daughter cost me $524. With a discount card. All I could buy. I left the pharmacy and sat in my car and cried." Her message struck a chord: Within five days, her tweet had been liked 70,000 times, and her $8,000 GoFundMe campaign was fully funded. To buy insulin, Rudolph told me, "We've taken out loans. We've borrowed from retirement. You think, 'Where else can I get it?' "
A pharmacist and a number of physicians told me about older insulins available from Walmart. The type of insulin first came out in the 1980s and now costs about $25 per vial. So-called "Walmart insulin" is a controversial solution for Type 1 diabetics, many of whom believe that older formulas are more likely to lead to dangerously low blood sugar levels. A few doctors echoed that concern. Yet it could still save lives. "It's very good insulin," one physician told me. Another said, "It's obviously better than nothing." Researchers have found that these older insulins work just as well for Type 2 diabetics as pricier analog insulins, but some research shows a slightly better outcome for Type 1 diabetics on newer formulas. Many diabetics continue to hunt for coupons and discounts on high-priced insulins. Some doctors will give out samples to struggling patients. The constant search for more insulin can become all-consuming. "I think about it when I wake up. I think about it when I go to bed," says Michelle Fenner, an #insulin4all activist whose diabetic son is 17. She worries about what will happen when he is a young adult and on his own. "There is no way he can pay what I do," she says. Eli Lilly, which hasn't raised its insulin prices since May 2017, declines to discuss its pricing strategies in general. Asked for comment, it offered a statement: "Some people pay too much for insulin at the pharmacy, and there are several reasons - including high deductible insurance plans that require people to pay thousands of dollars in medical bills before coverage is triggered. We're focused on finding solutions to the problem." In August, the company started the Lilly Diabetes Solution Center, a help line to "assist people who need help paying for their insulin." Fenner said a coupon she received from the help line dropped the monthly cost of one of her son's insulins from $900 to $95. It's an incredible boon, but she already worries how long Eli Lilly will keep the savings going. According to the American Diabetes Association, these kinds of measures are just a stopgap: The organization's June 2018 report concluded that corporate patient assistance programs are "not deemed to be a long-term or comprehensive answer to the rising cost of insulin for the vast majority of people with diabetes." Several people, including Fenner, described insulin as being like oxygen: Scavenging for it invokes a primal fear, like the gasp you make just before you run out of air. Camera crews set up on a street corner. For more than half an hour, Nicole answered the same questions from reporters. Why are you here? What do you want from Eli Lilly? She told them she was there for Alec. "I feel like I am leaving a legacy for him," she said. "That's what is really important to me. I don't want any other person to die the way that he did. If I can prevent it, that's what I'm here to do." Nicole wanted pharmaceutical companies to start by being more transparent about their prices - to disclose how much it costs to manufacture a vial of insulin and what the profit margin on each vial is. Ultimately, she wanted them to reduce the price. "They're going to tell you it's complicated or they can't share that information with you," she said to a reporter. "It's not all that complicated. They're choosing to make it complicated. It's just plain greed." The rising prices from Eli Lilly, Sanofi and Novo Nordisk have raised suspicions. The companies appear to have increased them in lockstep over a number of years, prompting allegations of price fixing. All three companies denied these charges when I contacted them. (In 2010, Mexico fined Eli Lilly and three Mexican companies for price collusion on insulin, an allegation Eli Lilly also denied.) In the United States, a federal prosecutor and at least five state attorneys general are currently investigating the companies' pricing practices, according to Kaiser Health News. In October, Minnesota became the first state to sue the companies over insulin prices. And in January 2017, potential class-action lawsuits alleging price fixing by the three companies began making their way through the courts on behalf of diabetics. The companies denied the suits' allegations. There is also another, less known corporate entity in the mix: pharmacy benefit managers (PBMs), which include Express Scripts, OptumRx and CVS Health; all are now named in lawsuits on high insulin prices, but these companies also deny any wrongdoing. PBMs manage the prescription drug benefits that are part of insurance plans, working with pharmaceutical companies to negotiate discounts on behalf of insurance providers. "Every time a PBM extracts a deeper discount, an insulin manufacturer has the incentive to take a price increase to quote 'make themselves whole,' " says Rena Conti, a health economist at Boston University. That's probably one reason why, even as Eli Lilly's list price for Humalog insulin has increased by 175 percent since 2009, the company maintains that its net price - the amount the company earns after rebates, discounts and fees - has remained steady. Both drug companies and PBMs play a role in escalating drug prices. "It's almost like Kabuki theater where one guy points to the other guy and says, 'It's not me, it's him,' " says Jing Luo, an instructor at Harvard Medical School and a faculty member at Boston's Brigham and Women's Hospital who studies insulin pricing. These corporate entities are powerful special interests. In 2017, the pharmaceutical and health product industry - which includes drug companies and PBMs - spent nearly $280 million on lobbying, the biggest spender by far of 20 top industries, according to the Center for Responsive Politics. Even some patient advocacy organizations, like the American Diabetes Association, receive millions in funding from pharmaceutical companies. The industry also has a revolving door to government. Alex Azar, the head of the Department of Health and Human Services, was the president of Eli Lilly's U.S. division until 2017. Under his watch, the price of the company's analog insulin doubled. Now he is tasked with overseeing the government's plan to lower those same prices. At Eli Lilly, Nicole met with Mike Mason, the vice president of U.S. Lilly's diabetes division. The company declined to make Mason available for an interview for this article, but Nicole says he seemed compassionate. She held a photo of Alec during the meeting and placed it on the table in front of her while she read a statement. "Profits should never come before the lives of people," she told Mason and the other representatives in the room, before asking them to remember her family's grief. She struggled to maintain her composure, she told me later, but when she brought up "corporate greed" with Mason, she says, "I stopped and looked him dead in the face. He looked away." The blueprint includes more than 50 proposals. "There is not a single silver bullet that's going to reduce drug prices across the board," says Aaron Kesselheim, an associate professor and drug-pricing researcher who is a colleague of Luo's at Harvard Medical School and Brigham and Women's Hospital. Some of the proposals are nonstarters, he argues, such as punishing other countries for the low prices they pay on drugs. (Americans pay more for drugs than any other nationality, but the governments of many other developed countries regulate drug prices, which keeps them lower.) "A better solution would be to focus on what makes our pharmaceutical market inefficient," Kesselheim says. "Focusing on this concept of foreign freeloading is, I think, a political distraction." For Conti, the Boston University economist, the administration's blueprint doesn't go far enough in addressing insurers. To guarantee that "real people pay lower prices" at the pharmacy, the first thing she would do is eliminate insurance plans that allow large out-of-pocket costs for prescription drugs - including the kind of high-deductible plan that Alec opted not to take. "It's insurance principles 101," Conti says. "People should not have to pay significant high prices for accessing a treatment that keeps them well." The blueprint overall is just that: a starting framework. One promising idea calls for increased pricing transparency, a popular idea among insulin-access activists that has also been gaining ground in state legislatures. The blueprint also recommends bringing more generic drugs onto the market. Right now, the United States has two relatively new "follow-on" insulins, which are similar to generics, but they are only marginally cheaper. Some experts say more competition is needed to lower prices. In December, FDA Commissioner Scott Gottlieb issued a statement on policies that will put more generics on the U.S. market, including for insulin starting in 2020, as part of a transition that was written into the Affordable Care Act. "We've heard frequent reports of patients rationing insulin, and in some cases dying because they can't afford the injections they need to survive," the statement read. "These tragic stories aren't isolated occurrences. And they're not acceptable for a drug that's nearly a century old." Trump has said that drug companies are "getting away with murder," and he has singled them out on Twitter, but some experts say his administration's blueprint takes a harder line on PBMs than it does on pharmaceutical companies. And though Trump pledged in late May that drug manufacturers would lower their prices - and a few voluntarily did so - none lowered the price of insulin. In July, Novo Nordisk raised its list prices on two insulins another 5 percent. May through July would bring some of the hardest days, but Nicole and James pressed on, hosting a rally for affordable insulin at the Minnesota state Capitol. 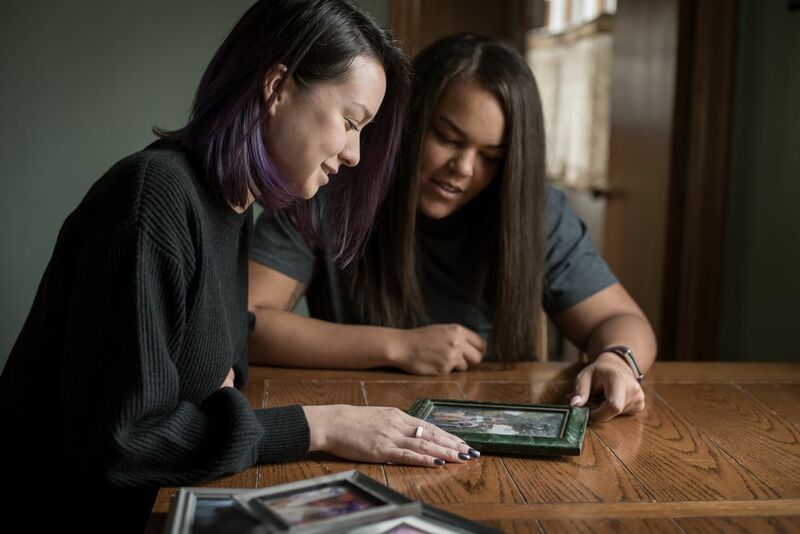 Their story reached the ears of lawmakers: In the state legislature, the Alec Smith Emergency Insulin Act was introduced to provide insulin to those in need. It didn't come up for a vote, but they laminated a copy of the bill's text anyway. On her first Mother's Day without Alec, Nicole spent hours planting a memorial garden in a corner of her yard. A week later, on May 20, the family invited loved ones over to visit the space and commemorate Alec's first "heavenly birthday." Brittany had driven a half-hour across the Wisconsin state line to buy fireworks. In the kitchen, there were hamburgers and hot dogs waiting. There was even a cake: store-bought with thick white frosting - the kind a diabetic might be told to avoid. In green letters, it read: "Forever 26." The long Minnesota winter had given way to one of those perfect days, 70 degrees and sunny. James fired up the grill, and music piped through speakers. The Borromes arrived, and so did Laine, who dabbed her eyes with a napkin as they shared stories about Alec. For Nicole, it was too much at times. When she needed to, she retreated from the 40 people gathered and smoked a Newport alone on the deck. When James escorted a group of Alec's friends over to the garden, where they sprinkled some of Alec's ashes, Nicole backed away from the huddle, saying, "I can't do this." Some days, she told me later, "it's all a lot." Alec would continue to be the face of a growing movement. In a few weeks, a letter from Nicole would be read at a conference in Washington about making prescription medicine affordable. In June, during a hearing on rising drug prices with Azar, Democratic Sen. Tina Smith of Minnesota would invoke Nicole: "Her son Alec passed away last year because he couldn't afford his insulin," she told Azar. Later in the summer, Democratic senators would invite the family to Washington to share their story. There would be plenty of time for more activism, but today was meant for those who knew Alec best. At dusk, Brittany handed out sparklers and Roman candles, and the crowd gathered in a circle on the grass. They launched the fireworks into big bursts of yellow and green, with sparks and ash raining down over the yard. It had been a hard day, but it was still a party. Nicole stood on the deck to record the scene on a cellphone as friends and family called out: “Happy birthday, Alec!” “We love you!” “We miss you.” Everyone stared up at the sky, watching until the last flare burned out.